So, I skipped a week in the blogging world to take a much needed break at the cabins in Oklahoma….. I will follow up with a real good posting on this vacation in my next post. Here I want to cover a real important subject in the efforts of SEO Services and the REQUIREMENT for CRO Services “CONVERSION RATE OPTIMIZATION”. First, and an obvious fact, You have to know that the terms you are targeting are terms that are actually searched for the service or product your website offers. An experienced SEO Services provider will show you the right terms to target. 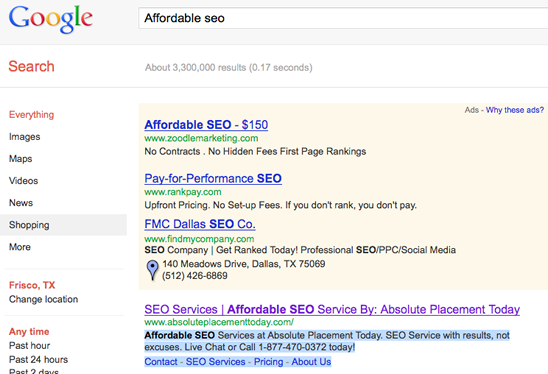 Remember, it DOES NOT MATTER HOW MANY SEARCH RESULTS THERE ARE……. Your looking for search volume, NOT the number of search results..
SEO services and CRO “Conversion Rate Optimization” starts with making sure you have placement for the right search terms. 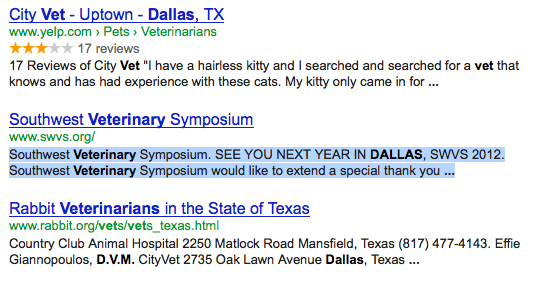 Obtaining placement for the correct search terms is tough enough, but knowing the right CALL TO ACTION is PRICELESS. Experienced SEO Services will show you the right terms to target and explain why. THIS WORKS REAL WELL: it explains what you will find on the site, expresses the level of integrity, contact option and in fact you don’t even have to click the link to make contact.